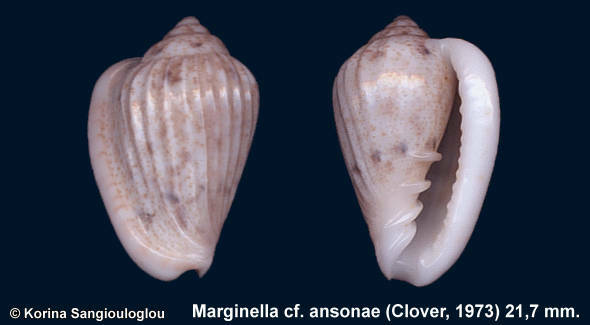 Marginella cf. ansonae (Clover, 1973) 21,7 mm. Will be described as new species. Very pretty.